In January, the Nigerian Civil aviation Authority (NCAA), through its spokesperson, Mr Sam Adurogboye, announced that Nigeria had climbed to Level 3 State Safety Programme (SSP) Implementation Process, joining countries like the U.S. and the United Kingdom in this echelon. On Jan. 9, the Federal Government appointed new Chief Executive Officers to pilot the affairs of the key aviation agencies. Capt. Fola Akinkuotu was appointed as Managing Director of the Nigerian Airspace Management Agency (NAMA) and Mr Akin Olateru as the Commissioner for the Accident Investigation Bureau (AIB). Also appointed were Prof. Sani Mashi, Director-General, Nigeria Meteorological Agency (NiMet) and Capt. Abdulsalam Mohammed, Rector, Nigerian College of Aviation Technology (NCAT), Zaria. The Minister of State for Aviation, Sen. Hadi Sirika, charged the appointees to bring their wealth of experience to bear in repositioning their agencies, for the overall benefit of the sector. On Feb. 9, the Federal Government, under the auspices of the Asset Management Company of Nigeria (AMCON), took over Nigeria’s largest domestic airline, Arik Air, due to its huge debt profile, estimated to be over N300 billion. AMCON thereafter disbanded the former management and appointed Capt. Roy Ilegbodu, a veteran aviation expert, as the new Managing Director and Mr Oluseye Opasanya (SAN), as the Receiver Manager. However, the former management and shareholders of the airline dragged AMCON to court over the take over, with two suits regarding the issue currently pending before the Federal High Court in Lagos. One of the greatest achievements of the aviation ministry in the year under review was the rehabilitation of the runway of the Nnamdi Azikiwe International Airport, Abuja. Despite the protest from some quarters, Sirika staked his job on the line when he insisted that the airport should be shut from March 8 for six weeks, to enable Julius Berger carry put a complete rehabilitation of the 3.6 kilometre runway. The runway, which was constructed in 1982 was meant to last for 20 years, but had been in use for 35 years, without major repair and proper maintenance. During the period, both local and international flights were diverted to the Kaduna Airport which caused the foreign carriers, except Ethiopian Airlines, to stop their flight operations into Abuja. As promised, the construction was completed before the estimated six week period and today, the airport has a world-class runway and there is a plan to construct a second runway, already captured in the 2018 budget. Commenting on the achievement, the Minister of Information and Culture, Alhaji Lai Mohammed, described the closure of the airport and the logistics nightmare it triggered as one of the most intimidating challenges faced by the President Muhammadu Buhari-led administration. “ Its ability to live up to expectation by delivering the project, even before the scheduled date, has further confirmed that Nigerians elected a responsive, responsible and capable Federal Government in 2015,’’ the minister added. On March 16, Aero Contractors, another airline under the management of AMCON sacked over 600 workers, which is about 60 per cent of its workforce. The Aero Contractors management led by Capt. Ado Sanusi, said the issuance of notification of redundancy to the workers was a business decision, to enable the airline continue its operations. However, more than eight months after, the disengaged workers are still being owed their severance packages while over 100 of them had been recalled following the approval given to the airline by the NCAA to carry out C-Checks on a series of Boeing 737 aircraft at its Maintenance, Repair and Overhaul (MRO) facility. On May 18, Vice-President Yemi Osinbajo initiated one of the greatest reforms that had impacted the Nation’s aviation sector with the signing of the Executive Order on Ease of Doing Business in Nigeria. The order, which had been implemented by the various aviation agencies and security operatives, had helped to improve safety, security and passenger facilitation within and around the airport. Among other directives, the order expressly barred touting by official and unofficial persons at the airports and also mandated on-duty staff to be properly identified by their uniform and official cards. 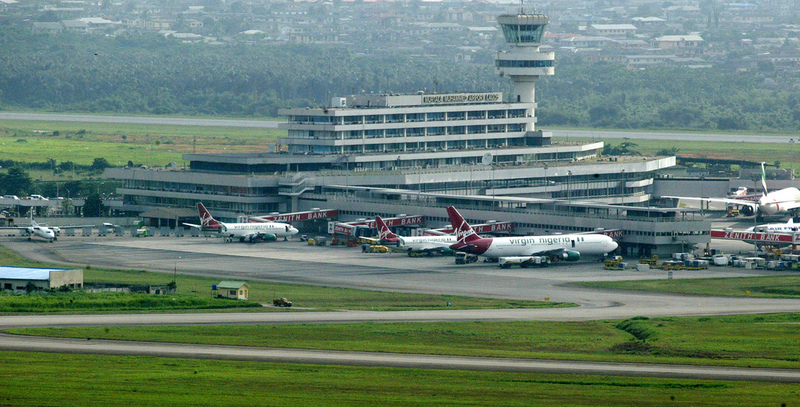 An aviation and tourism expert, Mr Ikechi Uko, said the implementation of the order must be sustained to erase the impression being created that airports in Nigeria were war zones. “Your travel experience begins and ends at the airport. The first impression you have of a country is its airport and the last impression you have of that country is the airport. 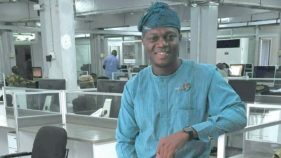 “Improving your airport processes goes a long way in improving the attractiveness of visitors to your country,’’ Ikechi, who is the promoter of the Akwaaba African Travel and Tour Market, said. On April 12, a fire outbreak which started at about 8.20 a.m. affected some offices at the headquarters of the Federal Airports Authority of Nigeria (FAAN) at the Murtala Muhammed Airport, Lagos. The offices affected included the Audit, Public Affairs and Commercial Departments and an investigative panel was constituted by the Managing Director of FAAN, Mr Saleh Dunoma, to find out the remote and immediate causes of the incident. However, despite being given two weeks to submit its findings and recommendations on the incident, the management of FAAN is yet to make it public, till date. Despite opposition by aviation unions, the Federal Government went ahead to appoint Transaction Advisers for the concession of the Lagos, Abuja, Kano and Port Harcourt airports, as well as for the establishment of a new national carrier like the defunct Nigerian Airways. Sirika assured the stakeholders and investors that the processes would be transparent, unlike what obtained in the past and called on them to support the move. Similarly, a former President of the Aviation Round Table (ART), Capt. Dele Ore, however, maintained that it was a step in the right direction for the country. He said: “I am of the opinion that government has no business in doing business. The best option for the country is for these airports to be given to investors to enable them operate optimally. The Federal Government in September approved N45 billion for the payment of gratuities and other retirement benefits to the former staff of defunct Nigeria Airways. 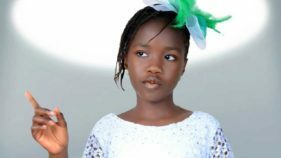 Sirika disclosed this while briefing State House correspondents at the end of the weekly Federal Executive Council (FEC) meeting presided over by Vice-President Yemi Osinbajo. He said following the approval by the President, the Minister of Finance, Mrs Kemi Adeosun, had been instructed to put the machinery in place for payment of the ex-staff of Nigeria Airways. However, the workers have yet to receive the payment more than three months after the approval and this had led to series of protests to ensure the release of the funds. One of the major achievements in the aviation sector in 2017 was the certification of both the Lagos and Abuja airports in September and October, respectively, by the NCAA. The DG of NCAA, Capt. Muhtar Usman, who presented the certificates to the MD of FAAN, said they were valid for a period of three years, urging that all hands must therefore be on deck to ensure that the certification is sustained. He said the current drive towards the certification of Nigerian airports was very significant, not only as a requirement by ICAO and the Nigerian Civil Aviation Regulations, but even more importantly as one of the critical safety targets of the Abuja ministerial declaration. Also, Mr Mohammed Odonowo, Director of Aerodromes and Airspace Standards, NCAA, said the certification, which was done in five phases, was of immense benefits to the aviation stakeholders and the travelling public. Odonowo said: “The expected benefits of aerodrome certification include enhancement in the provision of safety critical aerodrome facilities, services, procedures and personnel. He added that it would facilitate the development of regional hubs through improved capacity, safety and efficiency and attract the inflow of capital investment into airport development and management. Nigeria became the first country in the world to host the ICAO World Aviation Forum (IWAF) which held from Nov. 20 to Nov. 22 in Abuja. 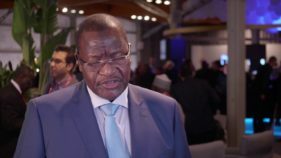 Although this was the third edition, it was, however, the first time it was being hosted outside the ICAO’s headquarters in Montreal, Canada and it attracted the global aviation community to the country. Sirika said hosting the forum, which had the theme : “Financing the Development of Aviation Infrastructure,’’ was a big plus to Nigeria. The minister used the opportunity to showcase Nigeria’s aviation potential to foreign investors, in order to tackle the sector’s infrastructural deficit estimated to be about $30 billion by IATA. Thus, with the successful hosting of the IWAF, experts are urging the government to leverage on the positive exposure it gave the country in turning the fortunes of the sector around.